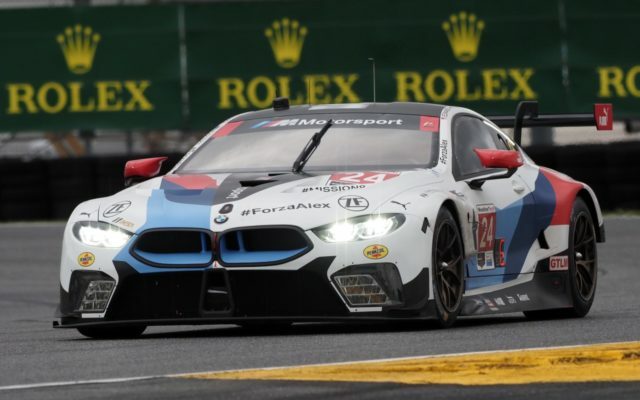 The field is set for IMSA’s first race in their 50th Anniversary season – the Rolex 24 at Daytona. Oliver Jarvis set a new track record of 1:33.685 in putting the Mazda DPi of Mazda Team Joest at the front of the field. Positions two and three on the grid were locked in by the two Acura Team Penske Acura DPi cars, while in the LMP2 category the DragonSpeed OREA entry took the top spot in that class. 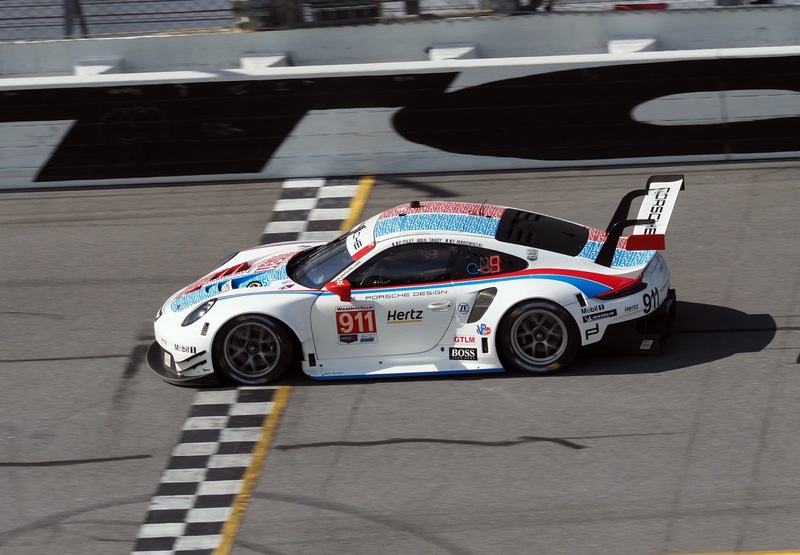 In GTLM, Nick Tandy put the Porsche 911 RSR on point, with Corvette and Ford taking the next two spots. 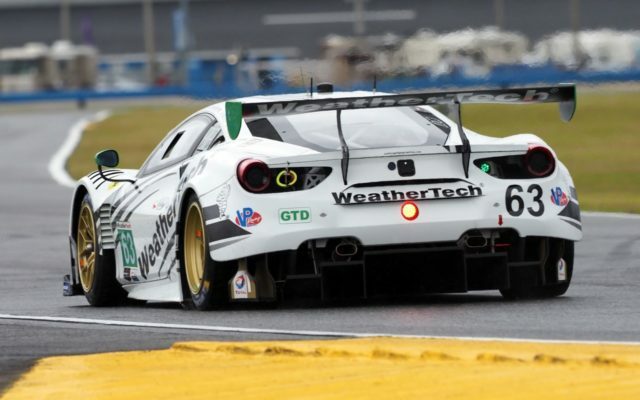 In GTD Via Italia Racing put their Ferrari 488 GT3 on point ahead of a very large and diverse class of cars. The weather looks iffy for the finish of the race on Sunday afternoon, with the forecast being amended today to include 100% chance of rain for Sunday. However, as this is written (on Friday night), that forecast has already been changed at least four times earlier today. One thing for sure, is that it is going to be windy and cool – and downright cold on Saturday night. The highs for Saturday are only forecast in the 50’s, while the aforementioned rain is to arrive on Sunday morning and stick around for the finish. Who is going to win? That is anybody’s guess, but we think this may just be Mazda’s year to shine. 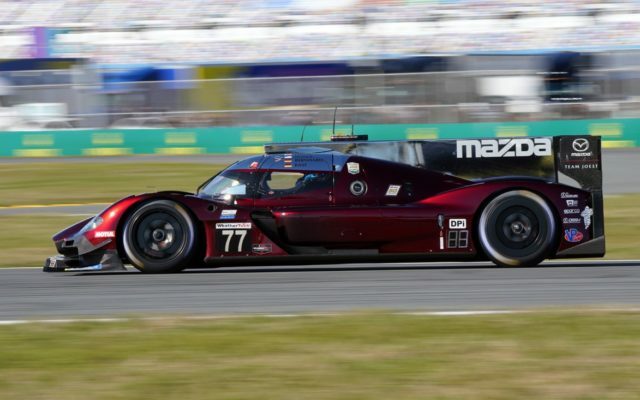 With off season personnel changes to the team and the addition of Joest veterans Leena Gade and Brad Kettler, and the outright speed shown by the Mazda all month, you have to count them as among the favorites. 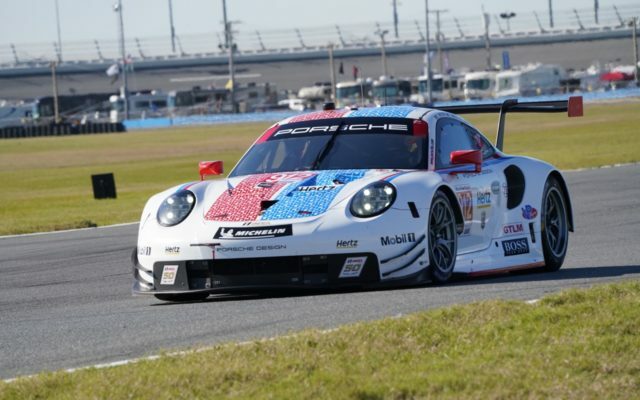 In GTLM, it looks like Porsche is the marque to beat, and we agree that the team looks really strong. Our pick is Porsche, with Corvette ready to pounce if anything impedes the Porsche parade to the front. In GTD, as usual, it is anyone’s race to win or lose but when all is settled, you can’t count out Paul Miller Racing’s Lamborghini – for they always seem to run up front in the big races. In LMP2, there are only four cars entered, so pick your favorite. If the class doesn’t expand beyond the four cars entered here, or shrinks going down the road, the LMP2 class may not survive beyond this season. 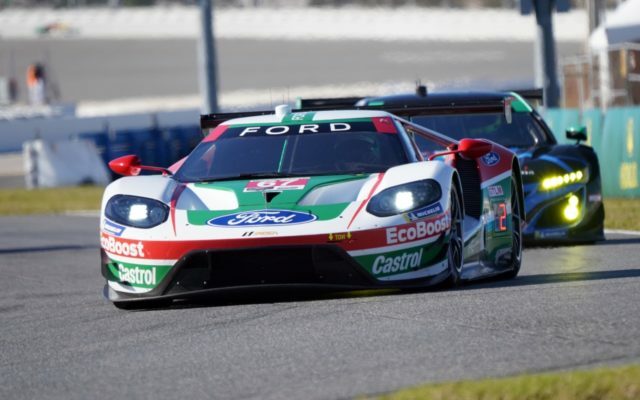 As this is the 50th Anniversary season for IMSA, a number of cars are featuring “throwback” paint schemes – notably the factory Porches (tribute to Brumos), Ford (throwback schemes in tribute to Castrol and Motorcraft), Nissan (the red, white and blue colors of the early 1990s), Acura (in tribute to the Camel Lights cars of the early 1990s) and Audi (similar to the great IMSA quattros of the 1980s). We hope this trend continues and expands as the season progresses. 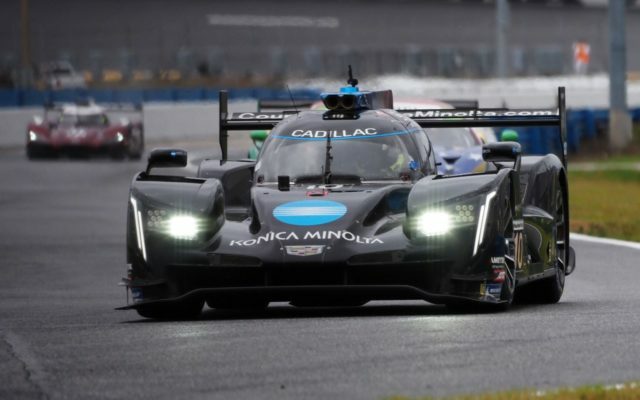 So, come rain or shine, cold and wind, or anything else that nature may throw at the 47 scheduled starters, the 2019 WeatherTech SportsCar Championship season is about to get underway with the longest race on the calendar – the Rolex 24 at Daytona. Jack Webster has been shooting motorsports since the early 1970’s, covering Formula One, CanAm, F5000, TransAm, GrandAm and American Le Mans races, among others. 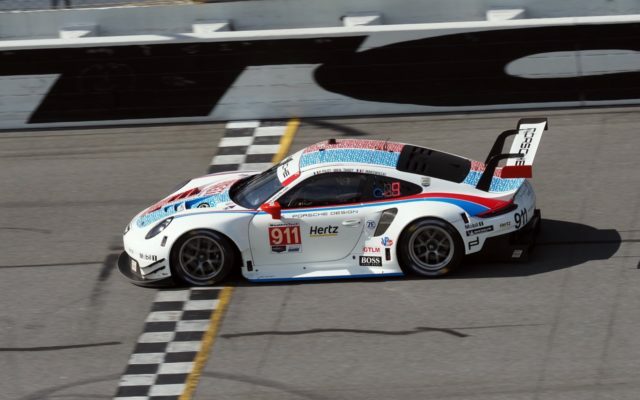 In addition to his photography, he has also worked on racing teams, both in IMSA and IndyCar, so has a complete knowledge of the inner workings of motorsport. Both his photography and writing can be seen here on racingnation.com. Eddie LePine has been involved in motorsports for over 30 years as photographer, columnist, and driver. Eddie also is now a retired racer (well, retired unless a good ride pops up). You can usually find Eddie in the paddock area, deep in conversation with a driver.